After spending quality time with his family in Maldives, baby Taimur Ali Khan is back to the basics. 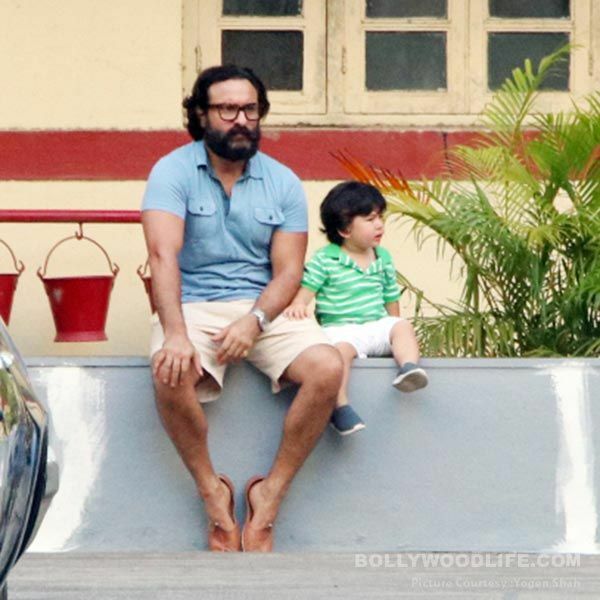 A day after he landed in Mumbai, dozing on and off in his father Saif Ali Khan’s arms, the cutie patootie went for cutlery shopping and was seen nibbling at the spoon and fork he bought, soon after that. 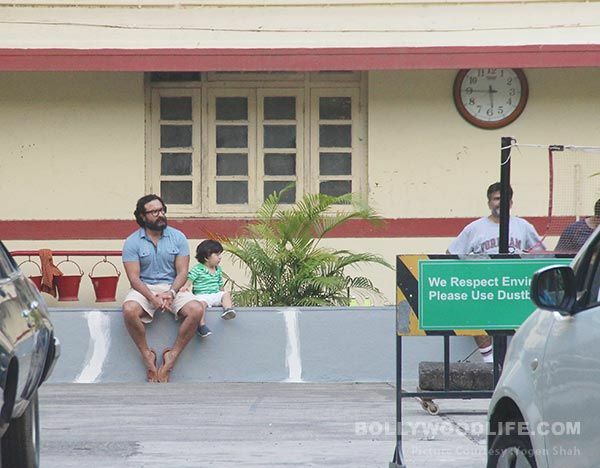 Later in the day, he visited his maasi, Karisma’s house with mommy Kareena Kapoor Khan. And today, Tai, who has grown a special liking towards his paparazzi friends got to watch a game of badminton. 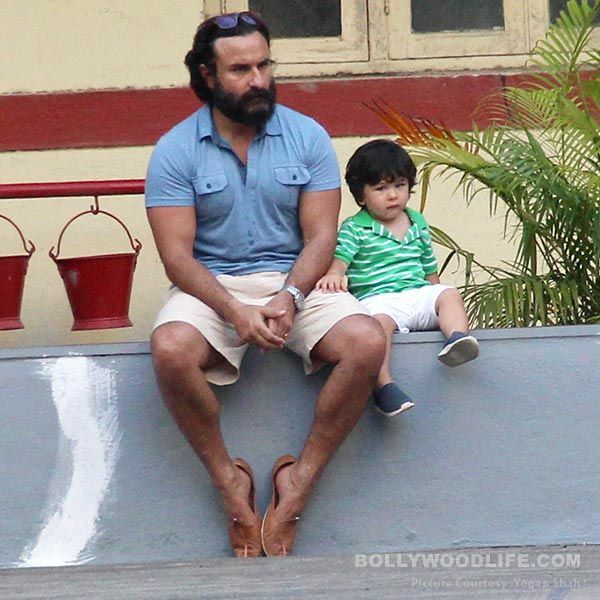 Saif took Taimur to a playground in Bandra and the curious look on our face totally melted our heart.